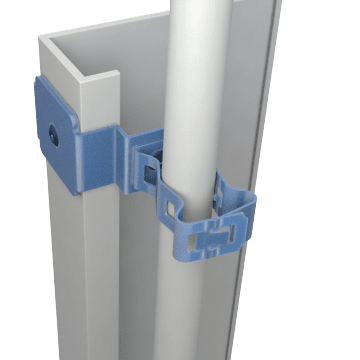 Support conduit inside walls with these clamps, which hold the conduit in place and help prevent rattling. One side of the clamp fastens to a wall stud, and the conduit clips into the other side. The clamps can rotate up to 360°, so the conduit can be angled as needed relative to the stud.